3D Era Tech is a hub for creative minds to make their own models, participate in workshops and certified with 3D Era Tech Industrial Training, featuring from basics to advanced techniques of 3D Printing and new technologies, suitable for all ages. Students, Professionals, Architects, Managers, Doctors, Engineers, Designers, Hobbyists, Teachers, Learners and anyone who want to learn and enhance their CV and professional skills and find potential business opportunity in the new industry. BASIC PLUS: Introduction to basic 3D Printing and assignments using self-printed prototypes. It's more hands-on experience than Basic package and uses a variety of problem-solving assignments. Plus will able to design and print prototypes, analyzing them on the spot and making adjustments. ADVANCE: Introduction to Advanced 3D Printing Technology using a LASER. A program is designed using FDM technology with PLA or ABS Plastics. ULTIMATE: Candidates & Teacher learn all about 3D Additive Manufacturing, SLA, Casting, Printing Technologies, Printing techniques. 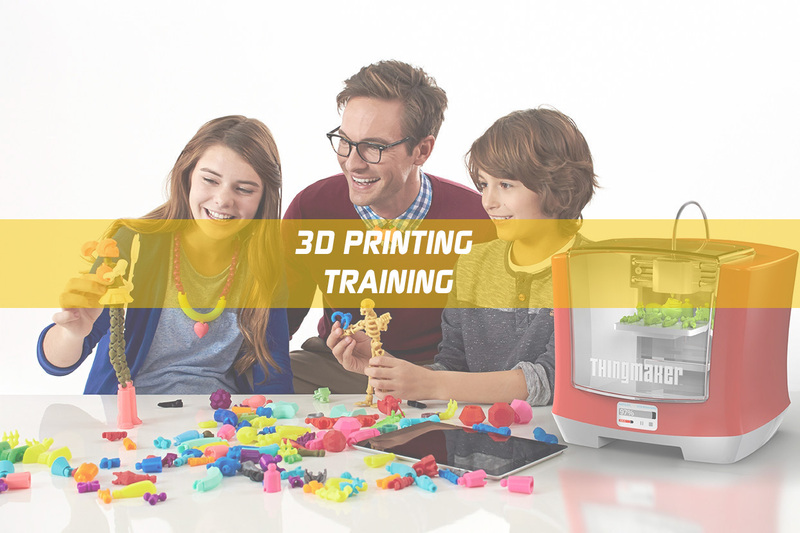 Drop us a line today for an Industrial 3D Printing Training!